For business and leisure travelers needing airport town car service or airport transportation to and from the IAH Airport or Hobby Airport, Royal Carriages Limousines & Charters provides the most reliable airport transportation service to and from all major airports in the nation and around the world. 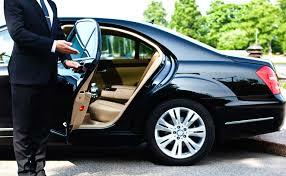 Our chauffeurs are familiar with all airports. We use state-of-the-art technology to monitor all airport arrivals and airport gate information and communicate any travel changes to our chauffeurs. Whether you are traveling alone or in a group, Royal Carriages Limousines & Charters provides you with vehicles that fit your needs and provide the airport town car service, airport limousine services and any other airport transportation service you can rely on. Royal Carriages Limousine serves regional airports. With all our reservations, our chauffeurs can meet passengers in the airport baggage claim area or even at the gate when requested. Airport baggage assistance is always complimentary. Airport multi-flight group arrival coordination is also available subject to time constraints and associated charges. If you have specific needs upon your airport arrival or departure, just let us know – We will try our best to meet all your needs. Royal Carriages Limousine has built its reputation as a premium corporate airport transportation company for all airport transportation needs by providing an exceptional passenger experience. Discover why leading corporations request Royal Carriages Limousine as their Worldwide Airport shuttle service provider.